La La Anthony could have stopped vehicles in their tracks as she posed on the street wearing gorgeous white pants and looking absolutely stunning. The 39-year-old glowed in two pictures she shared that featured the breathtaking ensemble. The posts are found below. In one, Lala faced toward the camera and had one hand on her hip while the other lay on a pair of silky high-waisted white pants. The "Think Like a Man" star wore a long-sleeve turtle neck top with an asymmetrical design on the front. The light brown blouse revealed a small portion of Lala 's toned stomach. The other picture featured the same ensemble but this time Lala stood in a profile angle to show off her hairstyle. The "Power" actress wore a long ponytail that came down to just below her behind. The skin-tight pants were on full display from the side to show off her well-endowed assets. In the caption, Lala simply wrote, "TAIL," in reference to her hair. 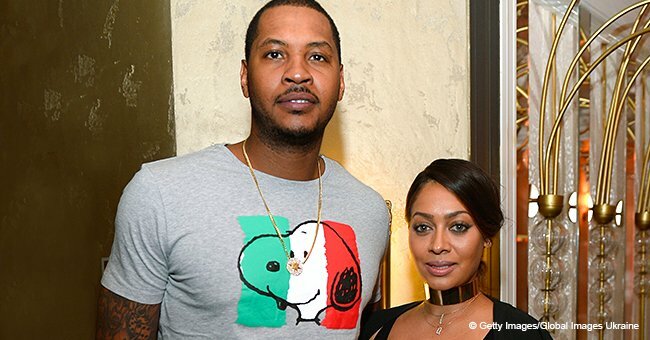 Lala seems to be doing well following her reunion with ex-husband Carmelo. The couple got married back in 2010 and separated in 2017. Carmelo, 34, confirmed the news that they were back together in January 2019. 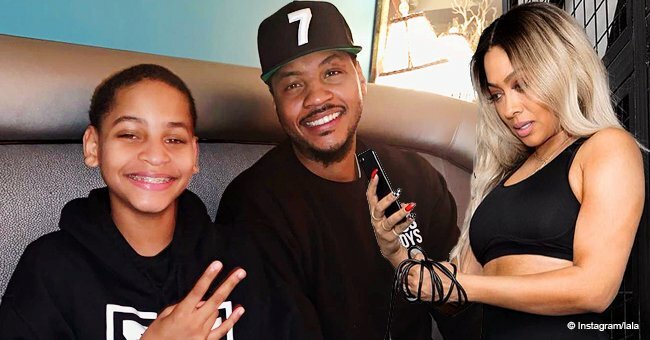 Lala and Carmelo share 14-year-old son Kiyan together. They never addressed the exact reason for their split, but rumors swirled that there was infidelity on Carmelo's part at some point. 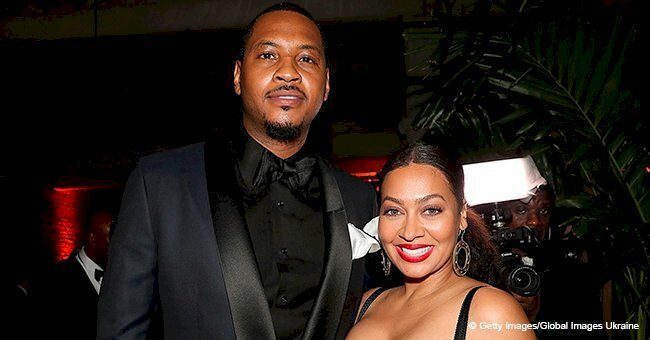 For Valentine's Day 2019, Both Lala and Carmelo sent sweet messages to each other, but Lala's came along with a threat taken from the lyrics of Beyonce's song, "Don't Hurt Yourself." "You know I give you life…If you try this [expletive] again…you gon lose your wife. I've loved you since you were 19 & I will love you forever. Happy VDay my love." 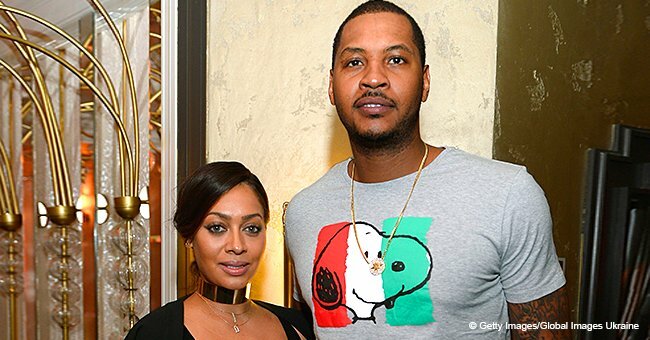 US Weekly first broke the news that Lala and Carmelo had reconciled back in December 2018. The two made an appearance together at the Winter Wonderland holiday charity event in the Bronx, prompting talk of a renewed spark. Prior to that, they would come together for the sake of their son but never indicated any plans to get back together as a couple. Fans were ecstatic when they finally did. Each half of the beloved couple are successful in their own right. Lala has a strong career as an actress while Carmelo is regarded as one of the best on the NBA. Still, the "Unforgettable" actress once took issue with being called a "basketball wife." According to Hot New Hip Hop, Lala was averse to the label because of the stereotypes that come with it. When one thinks of the term "basketball wife," they may immediately imagine women having catfights as shown on several versions of the VH1 show "Basketball Wives." Thankfully, Lala eventually came around and she said she's now "proud to uplift [her] husband and not feel as though [she's] sacrificing [herself] by doing so" at a recent National Basketball Wives Association Summit. Lala apologized for the judgments she held about basketball wives in the past and said she will continue to grow. Now that she has her husband right next to her again, we hope that they will continue learning and evolving together.